If you haven’t noticed, bed sheets are expensive. If you buy quality, you’d like for them to hold up – not fray, get those pesky little fiber balls that form, also known as “pilling”, or simply to prevent them from fading. 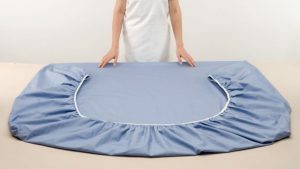 This blog may seem pointless to some, but learning how to care for your bed sheets will help you keep them longer and save a little money. First of all, know your sheets’ fiber content. Look at the care label or packaging to identify the fabric content of your sheets. The most likely fabric choices are cotton, Egyptian cotton, or a cotton-polyester blend, although sheets can also be made of bamboo, linen, or silk. Be sure to review the manufacturer’s care recommendations before washing. Keep in mind that cotton-polyester blends will generally come out of the dryer less wrinkled than all-cotton sheets. Bamboo, linen, and silk sheets need special care. Wash sheets separately from towels or other clothing. This gives the sheets more room to circulate in the water, which means they’ll get cleaner. Washing sheets alone also prevents damage caused by zippers and other fasteners, and it reduces the amount of pilling that can happen over time. Always pre-treat stains before laundering sheets. Avoid using bleach on bed linens as it can damage the fabric. If you need to brighten white sheets, add 1/4 cup of lemon juice to the wash water instead of bleach. 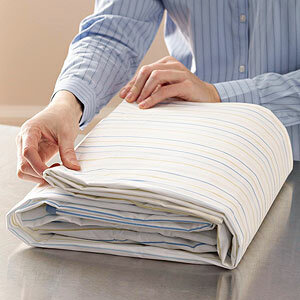 Use a mild detergent for cotton and cotton-polyester-blend sheets. Special fabrics such as linen and silk may require a special detergent. Use a gentle wash cycle and cool or lukewarm water. Simple tip – shaking the sheets out before placing them in the dryer can help reduce wrinkles. Use a low heat setting to minimize damage from high temperatures. Wash your sheets weekly (more often for humid climates) to extend the life of your bed linens. During the time spent on the bed, dirt, dust, skin cells, body oils and fluids accumulate on sheets. The longer these particles accumulate on the sheets, the more stress is put on the sheet fibers. In addition, skin cells and body oils and fluids can attract microscopic mites. A good tip to reduce the washing frequency, is to bathe before bedtime so you’ll take less dirt into bed with you. Keeping sweat, oils, and dirt out of the bed will keep the sheets clean longer. 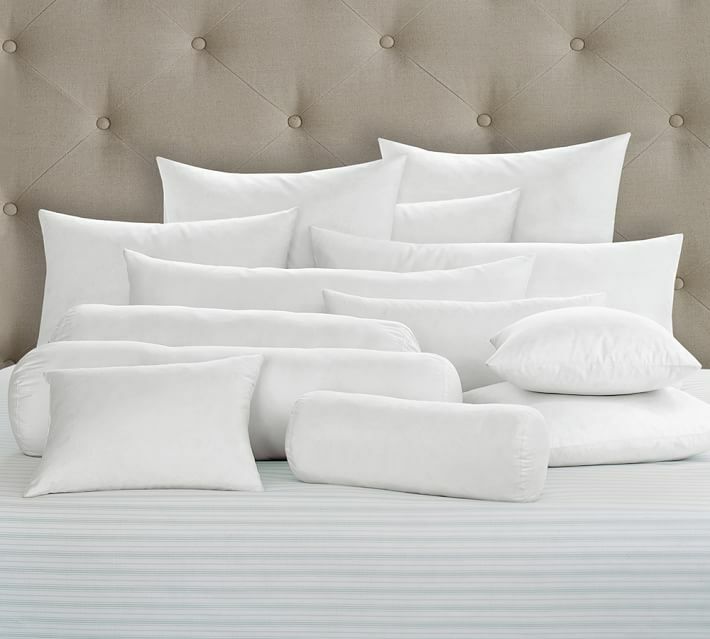 Oversized, bulky and awkward – sometimes it’s hard to know how to wash your pillows. Just remember with all of the germs, kids, pets, and guests it’s important to remember to wash them.The best way, plain and simple; machine wash your pillows. 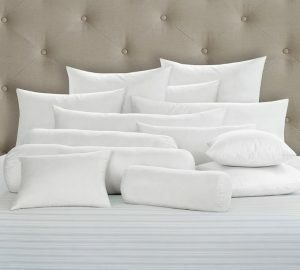 Most down and synthetic pillows can be machine washed and dried on low heat, but check the label to be sure. 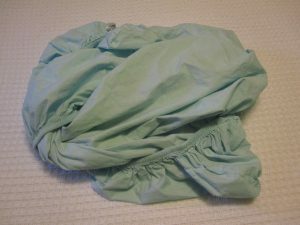 Have you ever heard the joke “If you can fold a fitted sheet, you must be a witch”? If you’re like me, folding fitted sheets is not your favorite thing to do. I would always start out optimistic, but after a couple of attempts, I was left aggravated and looking at a wrinkled, rolled up mess. BUT! I found a video tutorial, and after a little practice, I can fold a fitted sheet and be proud to open my linen closet! They no longer look like this…..
Why buy expensive or dangerous cleaning products, bleaches or de-greasers when all you need is probably already in your pantry! Did you know baking soda can work magic — including getting cleaner and brighter whites at a fraction of the cost. 1) Put one cup of baking soda in your wash.
3) Run your wash on the normal setting and……Voila! Brighter, cleaner whites! 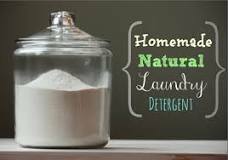 Try this DIY homemade laundry detergent recipe. This is a project that will save you money and help you rid your home of toxic chemical cleaners and make your clothes brighter and cleaner in the process. Thoroughly mix all ingredients together. Use 1 Tbsp per small load (or 2-3 Tbsp for large or heavily soiled loads) then add to your laundry. Store remaining in a sealed container. Keeping your colors brighter is a challenge at times. 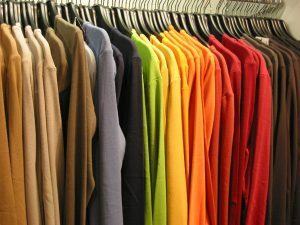 Colors fade when the chemical bonds between the dye and the fabric break down, so the best way to keep your colors bright is to wash clothes in a way that either prevents dyes from dissolving, protects the fibers in the fabric — or both. Follow these tips, and your colors will look as good as new! Turn clothes inside out— According to experts, the tumbling action of the wash cycle and the dryer can cause fabric fibers to break as clothes collide into each other and against the walls of the machine. Turning clothes inside out before you wash them will keep the worst of the fraying on the inside. Soak clothes in salt water— Salt is inexpensive, environmentally friendly and great for keeping your colors bright. 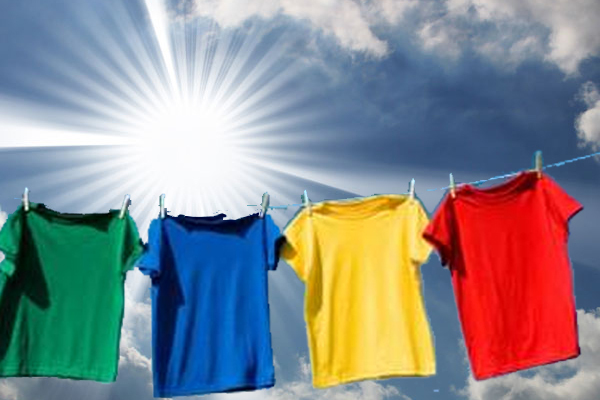 Before you wash that colorful new top, soak it overnight in salt water. Simply fill your washer with cold water, add 1/4 to 1/2 cup of salt, and then add your clothes. In the morning, just add detergent and run the washer as you normally would. You can add additional clothes at this point, too — just be sure not to overfill the washer. Wash in cold water— Washing in cold water instead of hot not only helps keep your colors bright, it also conserves energy and saves you money. For best results, use a detergent formulated for bright clothes and cold-water washing. 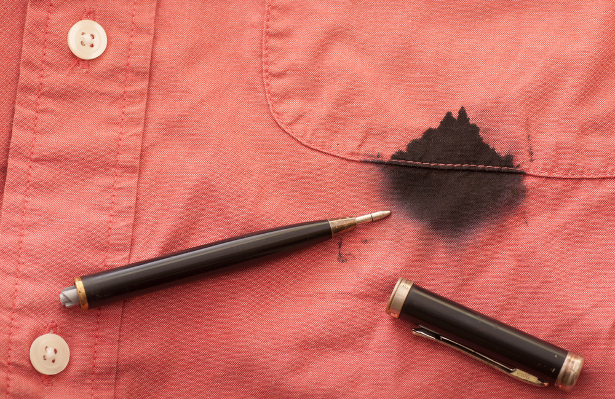 Most of us have had an ink stain at some point or another, or a leaking pen ruin a favorite shirt or pants. Before you toss those clothes in the rag bag, check out some of these simple at-home tips to deal with ink stain removal. Squirt the stain with hair spray and the pen marks should come right off. Try soaking the spot in rubbing alcohol for a few minutes to remove the ink, before putting the garment in the wash. Treat an ink stain on a shirt by first wetting it with some white vinegar, then rub in a paste of 2 parts vinegar to 3 parts cornstarch. Let the paste thoroughly dry before washing the item. Believe it or not, a Readers Digest article says to remove ink stains from colored clothes, an overnight milk bath will often do the trick. Just soak the soiled garment in milk overnight and launder as usual the next day. Pour salt on an ink stain that’s still wet, gently dab with a wet paper towel, and then remove and brush off the salt. Repeat until the stain has completely lifted. Yes, you read that right. The same Readers Digest article said to use a little fine-grit sandpaper and a gentle touch for removing or at least minimizing an ink stain or small scuff mark on suede clothing or shoes. Afterward, bring up the nap with a toothbrush or nailbrush. You might avoid an expensive trip to the dry cleaner. Make a paste by mixing 2 tablespoons of cream of tartar with 2 tablespoons of lemon juice. Cover the ink stain with the paste for 3 to 4 hours, then brush off the paste and wash the shirt. Reminder: be sure that you have gotten all the ink out before you dry the washed garment in a dryer, because the heat of a dryer will set the stain. There are three good reasons to wash new clothes, especially those that are worn in direct contact with your skin, before you wear them. 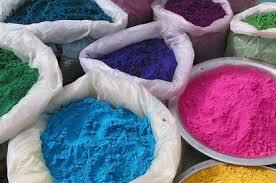 One is to wash out extra dye that can be transferred to your skin or other garments. Most fabric made from synthetic fibers (polyester, acrylic) are colored with azo-aniline dyes. These dyes can cause severe skin reactions for those who are allergic to them. If the allergy is severe, the rash will be similar to poison ivy. But even less severe reactions can cause dry, itchy inflamed patches of skin. It is possible to transfer lice, scabies, bacteria and fungus from person to person when clothes are tried on. Dressing rooms can become breeding grounds for everything from viruses to athlete’s foot. And, most importantly, to remove the chemical finishes that manufacturers put on clothes to enhance color or texture. The finishes won’t bother everyone, but if you have sensitive skin you can develop a rash especially in constant contact areas like armpits, collars, cuffs and trouser waists and thighs. Urea formaldehyde is often the chemical used to prevent mildew on clothes that have to be shipped long distances in hot, humid containers from overseas to the United States. It has a very strong odor that will remain in the fabric until the garment is washed. One washing will not remove formaldehyde completely but you will reduce the build up significantly and it will continue to be removed with each wash. It is especially important that children’s clothing, especially clothes for babies, be washed before they are worn. Babies are particularly sensitive to chemicals and skin rashes can occur. Select a detergent that is fragrance free and dye free as these can also cause skin reactions. Washing the clothes for children will also make them softer and more comfortable for them to wear. Washing new sheets/blankets and towels is also important to remove chemicals since these come in direct contact with skin. 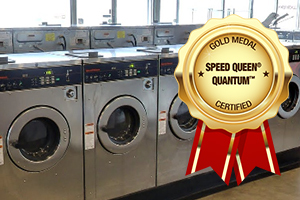 Washing will also improve the absorbency of the fabric by removing surface fiber coatings. If you have a tag on the garment that reads “wash separately before wearing”, beware of dye transfer and color bleeding. Washing will help remove the excess dye but check the rinse water. If color remains in the water, it make take several wash cycles to get rid of the excess dye so continue to wash separately or with similar colors. Stains occur when the aluminum in your antiperspirant or deodorant combines with the salt in your sweat. The stains are notoriously difficult to get rid of with normal washing in the laundry machine. According to We recommend doing a pre-test on a small area before trying. 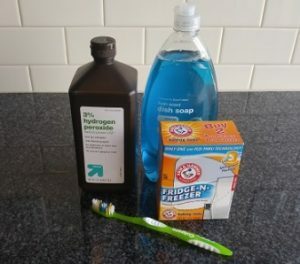 Apply the ingredients directly to the shirt, use an old toothbrush to work them in for a minute, and then let the shirt sit for at least an hour before putting it in the washing machine. To prevent the stains in the first place, Degree deodorant says it helps to wear loose clothing, make sure your antiperspirant deodorant is dry before you get dressed and don’t use too much product. Have you ever seen a bubbly mess escaping out of your washing machine? Most people use far more detergent than they actually need to. Liquid, pods, powders – It’s no wonder there’s so much confusion about how to use laundry detergent correctly! Knowing how much detergent to use can extend the life of your clothes and help conserve money by saving on the expense of detergent. There are several factors to consider when it comes to using laundry detergent properly. First, determine what kind of detergent is best for you. Liquid detergents are easy to pour and work great for spot-cleaning grease stains and ground-in dirt. While powder detergents are good for consistent cleaning overall, too much powder can leave a milky residue on your clothes if not measured properly. The popular pod takes the guesswork out of measuring out your detergent. Be sure to never use regular detergent in high-efficiency (HE) washers. This will create far too many suds and can damage the washer’s mechanics over time. Second, consider load size. Most detergent measuring caps or instructions should state the ideal amount of detergent to use for certain load sizes. Here’s a quick way to determine the load size: if the machine’s drum looks one-quarter full once all the clothes are inside, then that’s a small load. If it looks about half-full, it’s a medium load, and if it’s close to full, it’s a full load. Do not overload your washer—cramming in too many clothes won’t allow the detergent to distribute evenly, which can cause wrinkled, less-than-clean clothes. Finally, be careful when measuring out your laundry detergent. 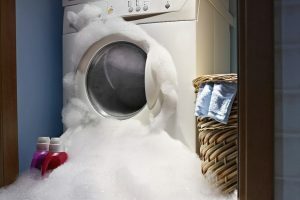 Using too much detergent won’t make your clothes cleaner—in fact, it will leave a residue on your clothes that can make them break down that much faster and too many suds will not allow an adequate amount of water to fill the machine. This is due to a water level sensor. Also, detergents today tend to be much more concentrated than they were in the past, so be sure to carefully check the recommended amounts on the detergent packaging and double-check the cap’s measuring lines before you pour.